Let’s be honest, Playa Del Carmen has some of the best SCUBA diving in the world. It’s possible that I could be a little biased, but it does attract divers from Cozumel and Cancun, and all the areas in between. 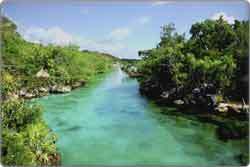 It has some of the best cenotes (underwater sinkholes) and caves, and a wealth of coral reefs and other sea life. No offense to those who don’t like to go deep, but snorkeling is for the little fish. But really, it’s hard to beat SCUBA diving in Playa Del Carmen. There are tons of water sports of which you can partake when in Playa. But I’ll specifically discuss diving with the fish on this page – not to be confused with sleeping with the fish! In order to make this page, I stopped at around 6 different dive shops in the area. I kept hearing the following names again and again. Consequently, you know you’re in good hands with these people. After all, you must trust these guys with your life—so you better be sure they’re good! Also, all of these dive shops only accept cash, either US dollars or MX pesos. So don’t come with your Visa Platinum card. In most bars and restaurants around town, you’re better off paying in pesos, but honestly, I didn’t even compare the differences at these shops. In order to save you time when contacting these dive shops, feel free to email them an inquiry similar to the following. Feel free to use it. 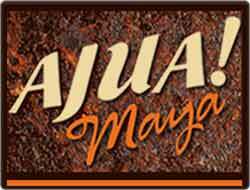 I will be in the Playa Del Carmen area from (insert dates). I am seriously thinking of doing some SCUBA diving while I’m there. I am a beginning diver/experienced diver/master diver (choose one). I would like to go swimming with sharks, go SCUBA diving, swim with whale sharks (explain your intentions). Could you tell me a little bit about your dive packages and what you have to offer? 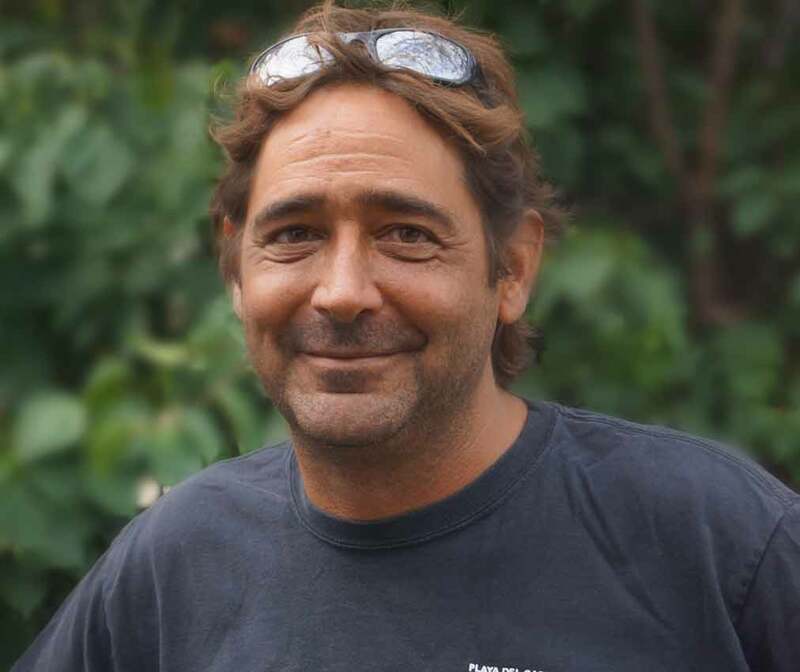 David Tomlinson, the owner of Abyss Dive Center, has 20+ years diving experience in Playa del Carmen and the surrounding area. He started out working as an instructor at one of the local dive shops. After founding his own dive shop based out of the Blue Parrot Hotel and Beach Club, he has owned several shops around town and also in Tulum, Mexico. He now operates his services exclusively online, but meets up with clients at Zenzi Beach Club on the beach. Dave Tomlinson’s diving service is different than the other diving schools and operators in town because his service is very personalized. He meets with all of the divers individually before their dives and takes a more hands-on approach. He can accommodate groups up to 20 people, but usually works with groups of approximately 5. His most popular services are 3, 4, & 5-day packages. On a personal note, I met with Dave. He is one heck of a nice guy. My first impression of him was that he was a fun-loving party guy, but as I got to know him during the short time of our interview, I realized that he was very serious about his business and very serious about safety with all of his clients. 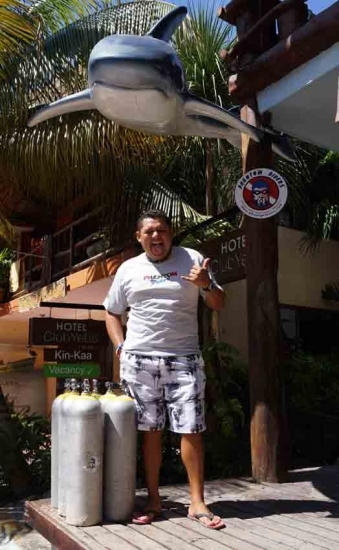 In the 20+ years of diving experience in Playa del Carmen, he has never had any serious accidents and has many repeat customers – which tells you something! So, if you need anything during your dive here, it is only a phone call away. I highly recommend Dave and Abyss Dive Center if you’re looking for a personalized / customized diving experience here in Playa del Carmen. Services offered: scuba diving, cavern diving, cenote diving, cave diving, scuba certification, swimming with bull sharks, swimming with whale sharks, snorkeling. 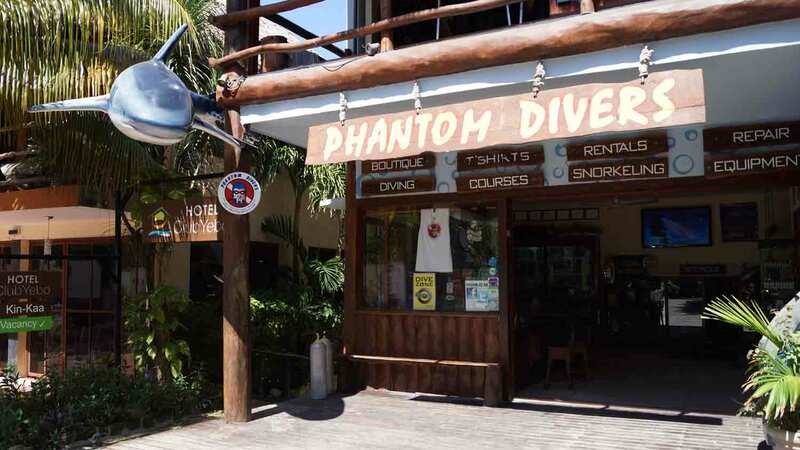 Phantom divers is one of the most well-established and respected dive shops in all of Playa del Carmen. They are the second oldest shop in town, and would be considered the oldest if it were not for one other shop that has recently changed owners. Phantom Divers offers all sorts of scuba diving – including discovery courses for beginning divers, cave diving, cavern diving, scuba diving certification classes, swimming with whale sharks, etc. Interestingly, they also have a retail shop which features scuba equipment repair and maintenance. 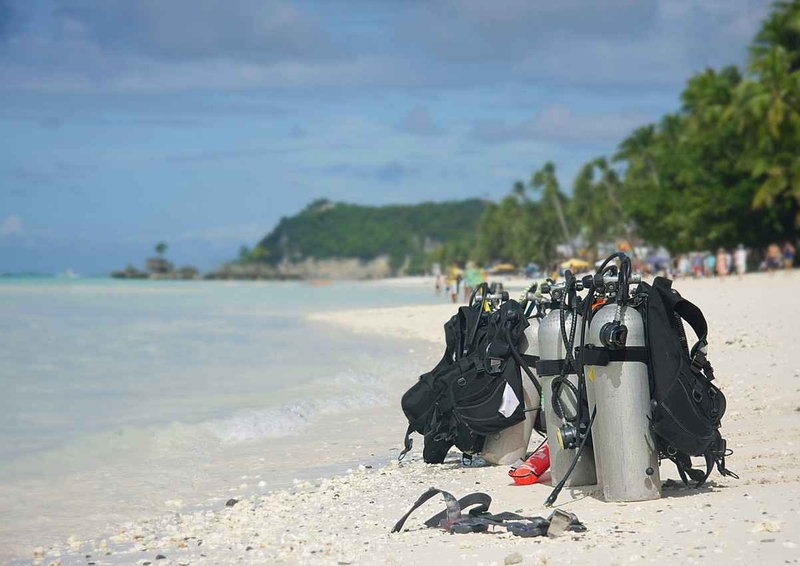 So if you have a problem with your dive equipment while you are on vacation here, you can be sure that it will be fixed correctly at Phantom Divers. Despite the fact that there are many competitors in the area, Phantom Divers has maintained their edge with the one somewhat controversial addition to the array of services that most of the local dive shops offer – swimming with bull sharks – and FEEDING them as well. Walking into Phantom Divers, I knew almost nothing about bull sharks, their habits, or about human interaction with them. However, by the time I left, I had a deeper understanding of the issues surrounding this exciting area of diving. Thankfully, I was able to talk to a dive instructor by the name of Ramon. Ramon is, in essence, the number one diver at the shop. He’s been diving in Playa del Carmen for approximately 18 years. I also learned that bull shark diving season is from November to the end of February. One thing you can be sure of is that if I were to go bull shark diving, I would want to go diving with Ramon. In addition to our discussion about bull sharks, I also talked to Ramon about his own level of diving experience and about the experience of the other instructors who work there. Just like surfing cannot be taught by reading a book, there is no substitute for diving experience. Phantom Divers, Ramon, and the rest of the people at the shop seem to have a tremendous amount of experience diving in the entire area surrounding Playa del Carmen. 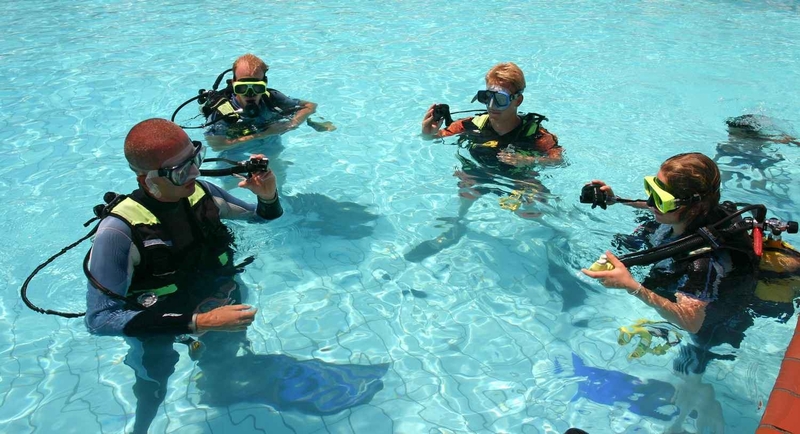 In addition to offering individualized courses for small groups, Phantom Divers can accommodate larger groups of up to 50. When I asked Ramon about discounts, he mentioned that the best way to get a discount is by purchasing a 2-7 day dive package. Moreover, divers can also request a hotel / dive package combo, which also offers them a discount. Finally, if you are the organizer of a large group of divers, it is possible for you to dive for free. Overall I got a strong sense of professionalism, competence, and most importantly, sincerity when talking to Ramon. 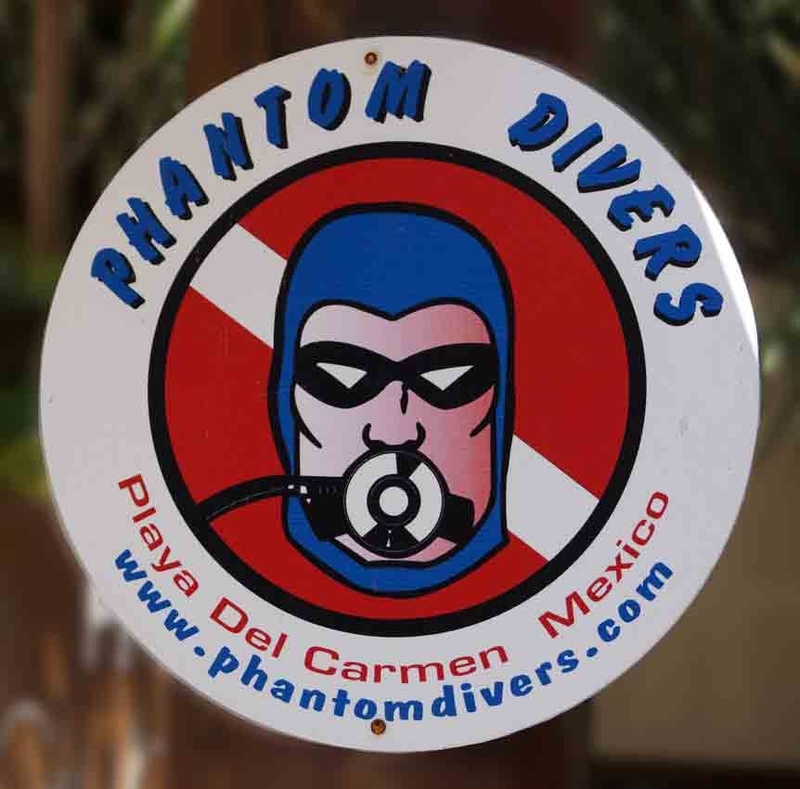 I hold nothing back when recommending Phantom Divers as an excellent choice for SCUBA diving in Playa del Carmen. As a side note, Phantom Divers also works with other shops such as Diversity Diving when overbooked. I met with Tristan from Phocea Mexico in Playa del Carmen. I had stopped by the dive shop on Wednesday, and had planned on interviewing him on Thursday. However, one of my friends was leaving this city, so I ended up with a killer hangover the next day. Luckily, I got up early Friday morning and was able to see him then. 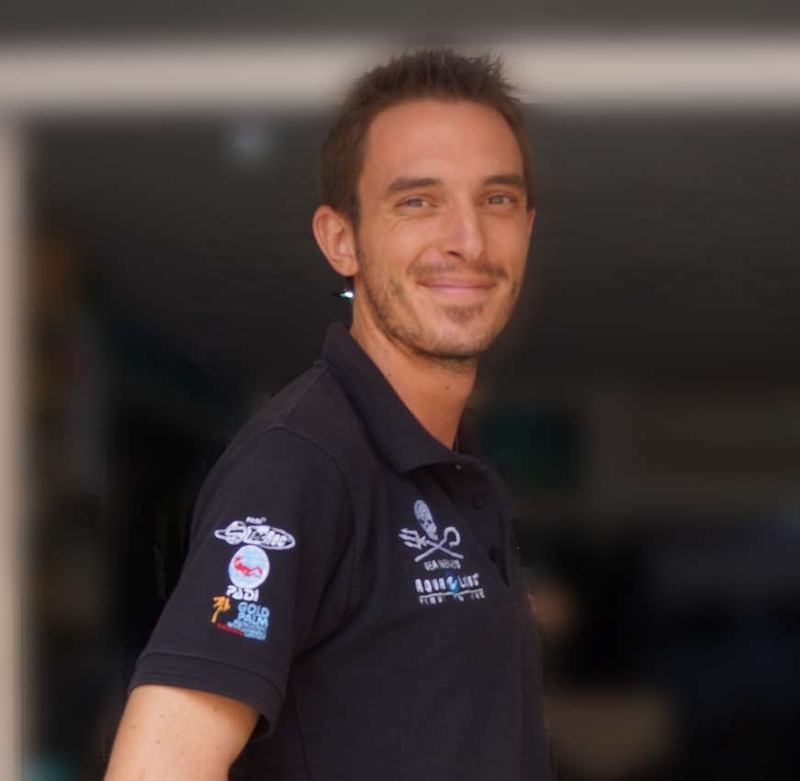 From my conversation with Tristan, I learned a little background about the shop, the services that they offer, and how they set themselves apart as a legitimate dive school in Playa del Carmen. I don’t always like endorsing businesses because it puts my reputation at risk. When I tell you, my dear visitors, that something is good, if your experience is different than mine, I become somwhat responsible for the recommendation. However, the entire time that I was talking to Tristan, he never deviated from his professional demeanor and answered all questions openly and honestly. Phocea Mexico in Playa del Carmen has been around for ~15 years. For the last 10 years, it has been owned by Didier, a French national with an avid interest in scuba diving. 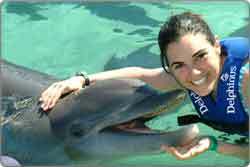 They offer scuba diving, cave diving, cavern diving, scuba diving classes (beginning to instructor), swimming with whale sharks, swimming with bull sharks (no feeding), sailfish snorkeling, etc. They also run a retail shop, so you can purchase any equipment you need there. One thing I really liked about Phocea Mexico was that they offer a variety of packages for those who want to explore areas outside of Playa del Carmen – including Mayan cenotes in Merida, Mayan ruin dives (inside cenotes), and even wreck diving where you can see large eagle rays. Moreover, they also offer 5-day, all inclusive packages that allow you to forget about how much money you’re spending on your trip and simply focus on diving. Another thing that I liked about this dive shop is the fact that they are part of an organization called Sea Shepherd. At the time of this writing, Playa del Carmen is having some huge problems with seaweed on the beaches and shores. Phocea Mexico has gone as far as sending volunteer divers down to the beach to help clean up the seaweed. If every business in Playa del Carmen did this, the beach would probably be clean. Consequently, I have to commend Phocea Mexico’s effort and thank them for putting in the time to make sure that this city remains a popular tourist destination. Tristan confirmed that the dive center can accommodate groups up to 60 people. For example, if you dive for 2 days or more, you will receive a minimum 10% discount for those dives. Of course, as with anything in Mexico, some dive prices are negotiable, so I would talk to one of the instructors or retail workers at the shop if there is some reason that you should get a discount (i.e. you are a large group, you are the group organizer, you have dived at the school before, et cetera). I have no problem recommending this dive shop. Tristan was very helpful, and all the other people I met there seemed sincere and friendly as well. If you do choose Phocea Mexico, please make sure you say hello to Tristan while you are there. Now YOU, too, have an inside contact at Phocea Mexico! NOTE: Also check out the completely all-inclusive dive trip package. FIVE full days of diving all around the Yucatan peninsula for $1199. This includes lodging, food, diving, instruction—EVERYTHING! There is one thing that I learned while writing this article: there are a lot of dive shops in Playa del Carmen! However, not all of them are created equal. I strongly recommend the shops that I mentioned above. I think you are guaranteed a great and professional experience with any of them. If possible, request these specific people: Dave, Ramon, or Tristan. Nonetheless, if I wanted a very personal experience, I would probably choose Dave with Abyss Dive Center. He was the first person I met and was extremely friendly and seems like a fun guy to spend a day or two with. 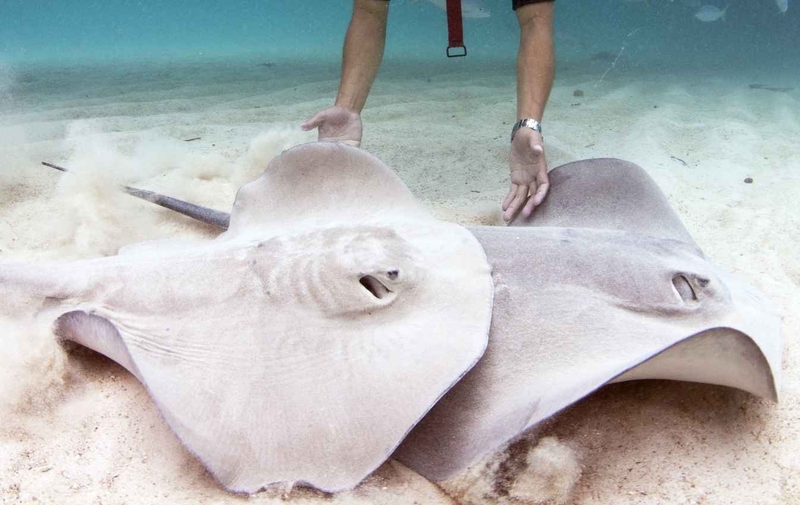 If I were going swimming with bull sharks – specifically feeding them – I would definitely want to go diving with Ramon. His knowledge and passion for the sport of diving is apparent as soon as he begins talking. If I wanted to take an excursion outside the city – specifically to other parts of Mexico – I would definitely talk to Tristan at Phocea Mexico and see what he could do for me. He is a very helpful person. 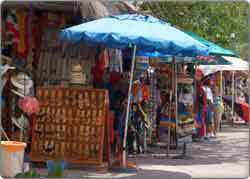 As you can see, there appear to be many options for diving in Playa del Carmen, but mostly this is an illusion. Go with the best, and you won’t have to waste any time planning your scuba diving excursion – these guys will do all the heavy lifting for you. I have the opportunity to meet a lot of people in this business. Most of the time you meet good people. But unfortunately sometimes you meet those who are not so helpful. When I was writing this article, I approached Scuba Playa. I don’t know for sure, but they appeared to be the biggest dive center in the city. However, remember that big does not equal better – especially when you are putting your life in the hands of someone you have never met before! At Scuba Playa, I had to talk to 3 people in order to get an English speaker. Then after waiting for around 10 minutes, the owner, who was upstairs in an air-conditioned office, refused to come down and speak to me! Being busy is one thing, but I got the impression of arrogance here. AGAIN, BIG DOES NOT EQUAL BETTER! Thus, your humble narrator would recommend NOT visiting Scuba Playa. With the more local businesses I interact with, the more I realize that attitude comes from above. 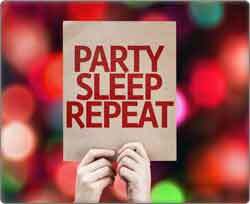 If the top guys at the business are friendly and fun, then the general mood of the other workers and associates is usually the same. However, when the owners / managers are not friendly (like ScubaPlaya), you get a feeling of being unwelcome from everyone. That is the impression that I got at this dive shop. Consequently, YOU SHOULD AVOID SCUBA PLAYA LIKE THE PLAGUE! In fact, I call it Scuba Plaguea….believe me, the name is fitting! 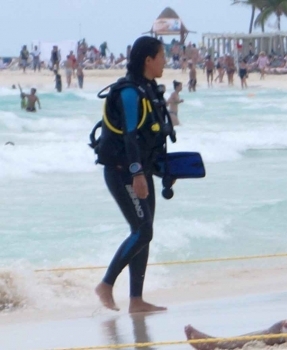 Because Playa Del Carmen is so optimal for SCUBA diving, there are a lot of areas that can accommodate any skill level, including beginners. 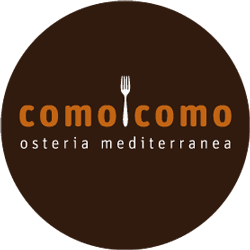 I’ll start with one of the most popular spots that also carries a lovely, mysterious name. “Dos ojos” (two eyes) is part of a network of sites with the same name, and is probably the most frequented SCUBA diving spot in all of Playa Del Carmen. 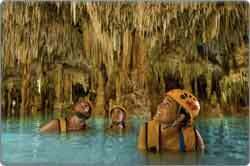 As a cave system, it is the deepest and among the longest in the entire Yucatan peninsula. It includes a bat cave and perfect, 75 degree water practically year-round. 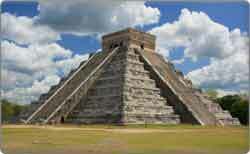 Another good option for beginners is Gran Cenote Island. 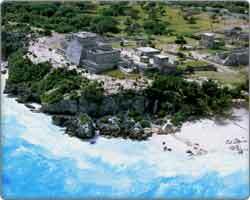 You’ll run into this spot heading north from Playa Del Carmen, towards the Coba Mayan ruins. This cenote takes the shape of a half-moon, and it’s big enough to accommodate the many visitors that come due to its popularity among divers. Just be aware that if you venture further north toward Cozumel, you’re likely to encounter some heavy ocean currents. 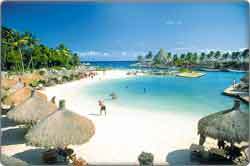 I recommend that intermediate, and especially beginner divers stay closer to Playa Del Carmen. 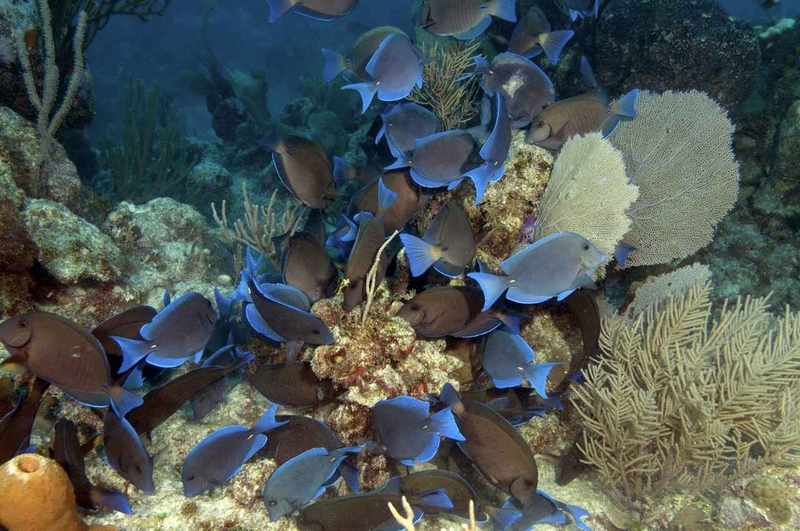 Here you can find some really great “drift dives” as well as dives with no current at all – just the crystal clear waters of the Caribbean. This one is a reef dive that gets its name from the 10-foot ledge that spices up the flat seafloor. This ledge is about 100 feet below the water surface, and there you’ll find lots of sponges and coral, as well as fish. 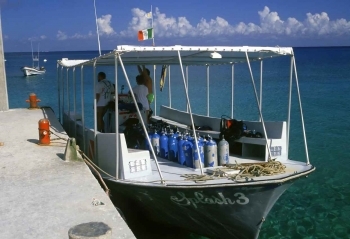 The cost of a SCUBA diving trip anywhere in Playa Del Carmen will depend on whether you have one or two oxygen tanks. And that will depend on how long you plan to stay in the water. There are also slight discounts available if you use your own equipment. An open water dive with one tank, for example, will run you around $60, and about $10 or $15 less with your own equipment. For two tanks, that goes up to $75 to $110 USD. If you do a night dive, the price stays more or less the same as open water dives. Moving up the ladder, a cenote dive with one tank will start around $120. Keep in mind that multiple dives, multiple reefs, etc. will increase the cost. There may also be ferry ride costs to take into account. 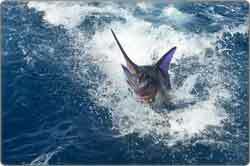 In addition, some places offer different dives geared around sharks or reefs, for example, which also vary by price. It’s a big myth that you need a special certificate to do any kind of diving here. But in reality, all you actually need is an open water certification. To clarify, that allows you to dive up to 30 feet deep, accompanied by a divemaster. However, to dive in the cenotes with a divemaster, you will need an open water certification. And to dive in the caves – to be distinguished from cenotes, which are caverns – you will need a cave diving certification. There are several companies which offer these certifications after a short workshop and some training sessions. 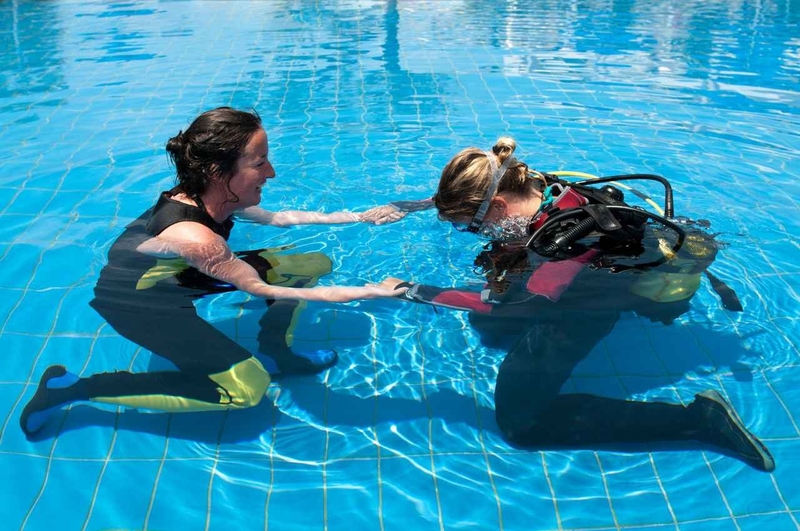 An open water certification will generally run you around $350 – $450 USD. Since that is a fairly large price range, I do recommend checking several places before you decide on one. Some places also offer the first part of the training as a separate fee, for those who want to “get their feet wet” before committing to a full certification. That will generally cost just shy of $100, and can be applied to your open water certification if you decide to continue. As a side note, you can now actually get your certification through an online course. I’m still trying to wrap my mind around this one, but the companies that offer it do so for the same or a similar price. So if you plan ahead, you can get the certification thing out of the way before you even get here and get in the water. What you need to bring on a SCUBA diving excursion is pretty much the same as you would bring on a snorkeling excursion. 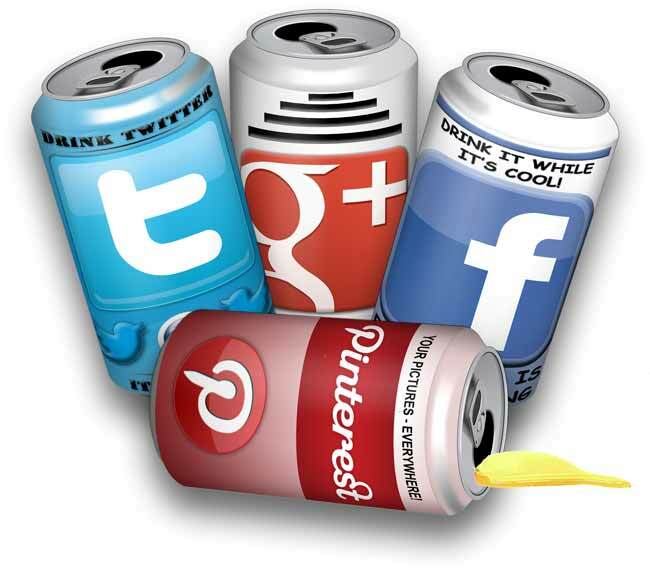 If you don’t want to hunt down that post, I’ll say it again here briefly. The obvious things are money and a form of identification, both of which you should make sure are in some kind of water-proof covering. Also make sure they are secured to your person in some way. No one wants to see their chance of returning home float away. But also make sure you’re prepared to be out in the sun with sunscreen, sunglasses, a hat, etc. for the time when you’ll be above water (for example, in the boat going to your dive location). And once again my final word of wisdom – don’t forget a camera! Tour companies do often keep a professional photographer on hand for overpriced photos on request. But I recommend getting a waterproof camera to bring along. SCUBA diving in Playa Del Carmen makes for some amazing photo opportunities, which you surely will not want to miss out on. I hope you enjoy your stay here, and as importantly, I hope you explore the exciting opportunities that await you below the surface of the water!